The journey of proposing to your other half is a daunting and intimidating one, but one factor which did not create any stress during this time was designing and choosing my fiancee’s engagement ring. I would recommend Brian to anyone who is looking for a unique, quality made piece of jewelry if that’s what you are after. From an extremely satisfied customer. A friend had Brian polish his wedding ring and I asked him to do the same. We got talking and I explained I had an idea about a bespoke piece (or maybe pieces) of jewellery that were just an idea and I needed help to bring it to life. I could see it and could talk about it but I couldn’t even draw it…. this is where Brian excelled – he took the genesis of my idea, developed it and helped bring it to life and before I knew it he had a drawing and a proposal. Shortly after he had the piece of jewellery finished and I must admit we were all blown away with the execution and the standard of workmanship – simply awesome! The first piece was for my daughters 18th birthday and a second was for my wife’s birthday. With 2 of the 5 pieces completed and 3 more daughters I cannot wait to have the full set. Brian is both an artist and a specialist with precious metals and I was very lucky to find him – thank you. I went to see Brian about an eternity ring. I wanted something unique but in keeping with my engagement and wedding rings. I had an idea of what style I’d like but was fully open to any suggestions. I wasn’t disappointed! Brian is so passionate about his craft and working with him was a pleasure. I have a ring that is so beautiful and one of a kind that I will treasure for all eternity. The whole process from start to finish was a pleasure. Thank you so much, I am delighted. Hope that you are keeping well. I just wanted to catch up with you as I promised you that I would write a testimonial for your website but I am not sure that I ever actually got around to it and I really wanted to do so. We met with you last year as you made our wedding rings for us when we got married in March. I just wanted to let you know that we are delighted with the work that you did for us and we are really happy with the rings. I have also recommended you to a lot of people that I work with so I hope that you get some business out of that. Anyway below is the testimonial from Liam and myself just to say thanks. Hi Brian, our wedding went great and we are extremely happy to have met you since you have demonstrated to be professional. Your rings are great and you have been able to make them up following our suggestion. Great job. We will recommend you. Just a quick note to say thank you so much for the wedding rings you made for us. My ring sits perfectly with my engagement ring and I am delighted with it 🙂 Colm loves his ring also . Anyway , no doubt I will see you around Clane ! I am writing to thank you for creating our beautiful wedding bands. It was such a pleasure to work with somebody who is so passionate about their craft. You are a truly an artist and work to an exceedingly high quality. The finished products are amazing. You were so accommodating always, from ensuring the rings were engraved on time to delivering the rings to my husband in work. For this, thank you. We are so privileged to have been introduced to you. From the moment that we sat down with you to discuss what we wanted we knew that we were in safe hands. Your vision is extraordinary and your talent speaks for itself. You understood exactly what we wanted, and made a ring that exceeded both of our expectations. I will never forget the moment that Jono went down on one knee and opened that box (even the box was beautiful)!! My heart stopped. I had never seen anything so intricate or beautiful. What you created for is is out first family heirloom! It’s simply spectacular. We are both extremely excited about working on the wedding bands with you next as we know that you will make the perfect set for us! You are amazing to deal with and we look forward to working with you soon again. Thank you Brian for our wonderful engagement ring. We are delighted with the finished product. It was great to see the ring change at each stage from a raw piece of platinum to the beautiful ring. Excellent quality and value for money. Brian was a pleasure to work with! “We asked Brian to make our engagement ring and also our wedding bands. We had a fairly good idea of what design we wanted when we approached him. He took the engagement ring design and transferred it into a fully designed ring ready for manufacturing, while also maintaining the look we wanted. His advice on metals and precious gems was fantastic, adding greatly to the quality and appearance of the final products. If we wanted to get more jewellery made I would not hesitate to contact Brian being totally comfortable with his expertise, skill and ability to deliver. “After trying on i don’t know how many rings we made the decision to have one made. My sister had her spectacular engagement ring made by Brian a few years ago so i knew where to go. After the first consultation any doubts my fiance had were gone and we already had a very clear picture of what we would be getting. He is so friendly, honest and reliable. I still cannot believe how well my ring turned out. Jack jokes that some day i may crash the car… i now spend my driving time looking at my finger. We are so happy with what he was able to deliver on the budget we had. Thank you so much, it is more than i had ever hoped for! We found Alchemy Jewellery quite by accident and it turned out to be the find of our wedding! Brian really knows his stuff and was able to advise us so we got the highest quality and grade of wedding bands at a fantastic price. Also as they’re bespoke we had the options of different styling and engravings that the high street shops just don’t offer – we were able to get exactly what we wanted in the perfect sizing that matched in perfectly with my engagement ring too. They were made quickly and Brian was always on the end of the phone if we had any questions. -Sarah & Nick, Clane, Kildare. Weddings Online – Brian made my engagement ring and I honestly cant say enough good things about him! Wanting something quite unique and unusual my Fiance dealt with Brian for months perfecting my custom made ring. He has an amazing talent and will not hand over a piece that is anything less than perfect. 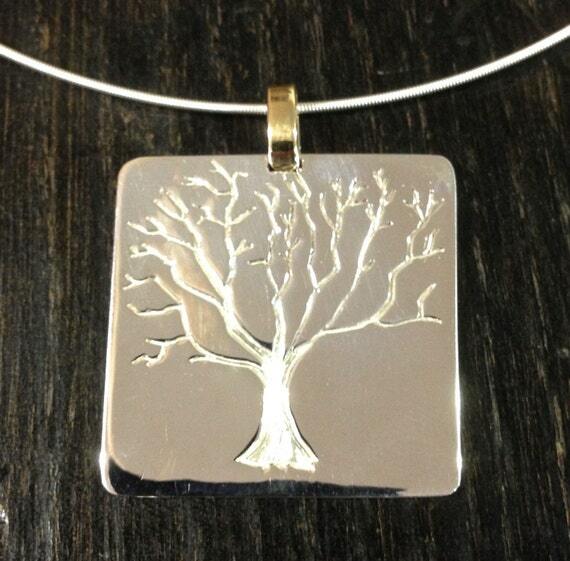 Look no further than Alchemy Jewellery for a personal and professional experience. You will NOT be disappointed! Looking forward to dealing with Brian again to design our wedding rings. Though it has been over a year since meeting you, we haven’t forgotten you and how much you helped us when we met and we wanted to thank you formally in writing. We were in a bit of a panic when we met Brian last year – we were just three weeks away from our wedding date and there had been a mix up with our jeweller meaning we were going to be without an engagement ring for the big day. I found Alchemy online and after putting out enquiries to several jewellers, Brian contacted us straight away. Brian assured us he could help us even though we were so short on time and also keep within our budget. He was professional but friendly and his relaxed manner put us at ease. Not only did Brian have our beautiful engagement ring to us within two weeks, exactly to our own design, but he also had some changes made to my wedding band for the day. He kept in constant contact – even emailing me photos of the ring during the process so I never had to worry it would be ready. I would highly recommend Brian to anyone. In fact my sister-in-law damaged her own engagement ring last year and I sent her to Brian. He not only repaired the ring but updated it for her and she was very happy with the results. Thanks so much for helping us out at a really stressful time Brian. Thank You very much Niamh and Paul.. It was a pleasure. My brother ordered a beautiful engagement ring for his fiancé from Brian three years ago. On his recommendation, I did the same for my girlfriend last year. I looked at a few high street rings but couldn’t find the right ring. I sent Brian a brief of what I wanted and Brian returned something much more special. Even more to this, Brian sent pictures of the journey from concept to finished article. This is something we will treasure. Communication and payment was smooth considering I live in the UK. My now fiancé is extremely happy with her unique and bespoke ring. Would highly recommend Alchemy – thanks Brian. Just wanted to leave a note to say thank you for making our wedding rings for our day last month. They were better than we ever imagined them to be and everyone has been commenting on how amazing they are. We really enjoyed the whole experience from discussing what we’d like at the start to picking them up just before the big day. We have been recommending you to everyone we know as your knowledge, skill and passion for your work could not be matched by any high street shop we’ve come across. We know we’ve gotten top quality wedding rings that’ll last a lifetime. Thanks again for everything, Dee and Enda x.